Rep. Alexandria Ocasio-Cortez has been one of the most outspoken critics of Amazon’s now-abandoned HQ2 plan for New York City, and now the online mega-retailer is hitting back… nicely. After the young congresswoman criticized Amazon over reports of the inhumane conditions faced by the company’s warehouse workers, an Amazon exec responded with a denial and an offer: come visit our facilities and see for yourself. The tweet, which has quite an audience given her 3.6 million Twitter followers, sent Amazon into full-on damage control. The company’s Senior Vice President of Operations Dave Clark pushed back. “These claims simply aren’t true,” Clark wrote. “We are proud of our jobs with excellent pay ($15 min), benefits from day 1, & lots of other benefits like our Career Choice pre-paid educational programs. Why don’t you come take a tour & see for yourself…we’d love to have you! Ocasio-Cortez hasn’t replied to Clark’s invitation as of this writing, nor has she replied to requests for comment from the media. But! Let’s not pretend like Amazon’s totally innocent here. The company is a massive corporation, with over 618,000 employees worldwide. It’s impossible for any visitor to see the working conditions for all Amazon’s warehouse employees. And even if she accepts Amazon’s invitation, it’ll almost certainly be a tour of its most scrubbed down facilities with perfectly humane working environments. It’s not like Amazon would ever show her anything bad. Make no mistake, Clark’s invite is an easy PR tactic to try to win over a politician who’s made a name for herself questioning big business’ tactics. And also probably a ploy to shift the news cycle’s focus in a different direction. Since he was a full-time employee at a real estate startup, Sussan offered his programming skills to the campaign during his off-hours. 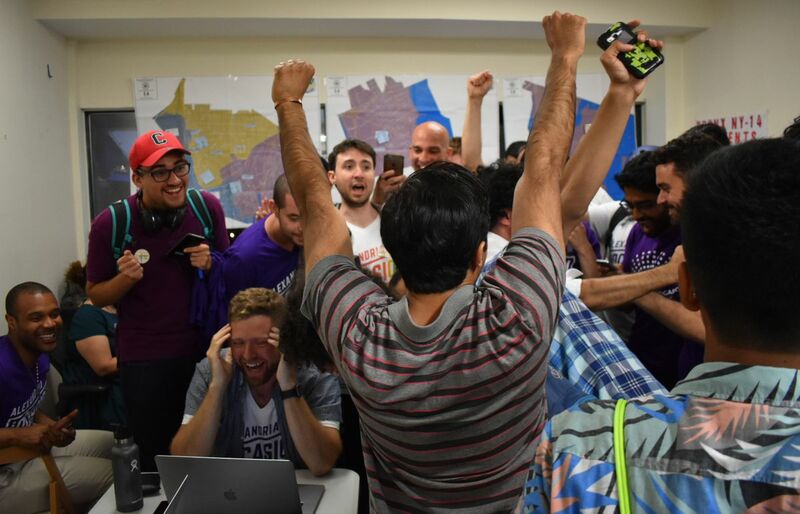 The app he created, Reach, reimagined the way volunteers found other sympathetic voters — and ultimately helped get Ocasio-Cortez elected. Historically, political campaigns have reached voters through a process called “canvassing,” or making direct contact with people door-to-door. 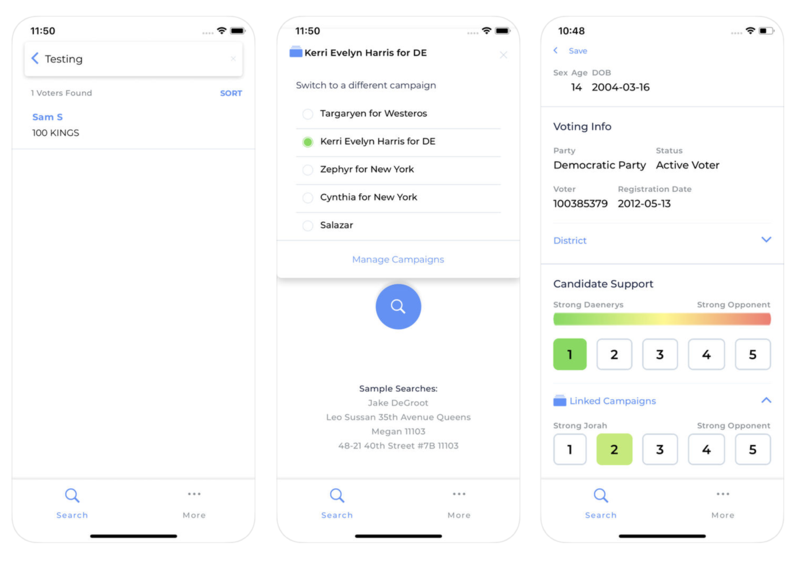 Apps typically facilitated this process by giving volunteers in the field an easy way to access a list of voters compiled by the Democratic Party. But Sussan’s app — Reach — was different. It made it easier for volunteers to find brand-new voters, regardless of whether they’d voted in a previous election or registered as a Democrat in the past. 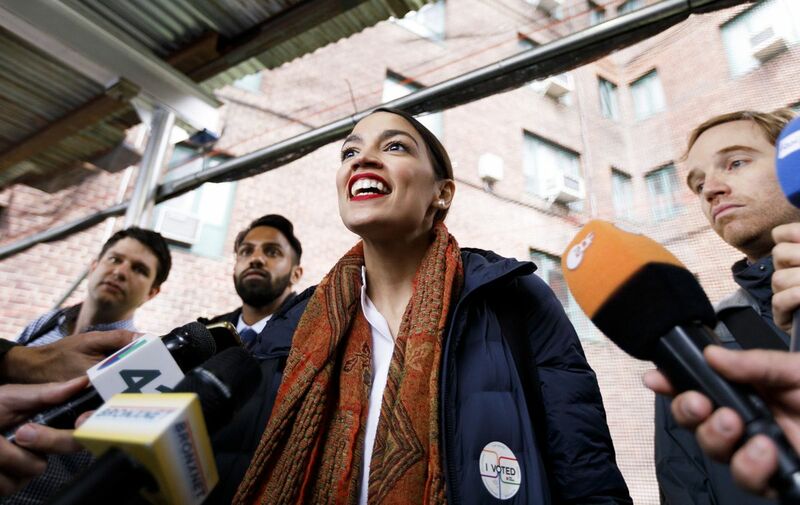 It was a technological solution to one of the campaign’s key principles: Ocasio-Cortez wanted to expand the electorate, and help more people take part in the political process. Sussan did too, so he built the app with this as a core principle. 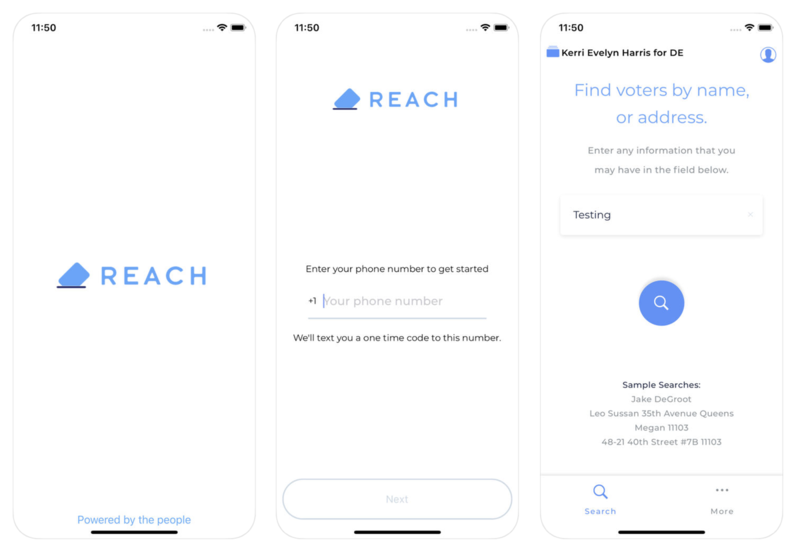 Now, using Reach, volunteers were able to easily target new voters on the street, at the mall, or basically anywhere they could think of, and log their interactions. Canvassers were no longer confined to a list of people who’d voted for a Democrat in the past or registered with the Democratic Party. Instead, they could add new names and contact information to the list on the spot. Plus, it helped that Reach worked on all the major platforms including iOS, Android, and web browsers, making it easier to get into the hands of the right people. When Ocasio-Cortez faced off against 10-year incumbent Joe Crowley in the Democratic primaries in June, the app played a pivotal role in her upset victory, according to Sussan. Shortly after the win, Sussan left his day job to join Ocasio-Cortez’s campaign full-time as the technology director. 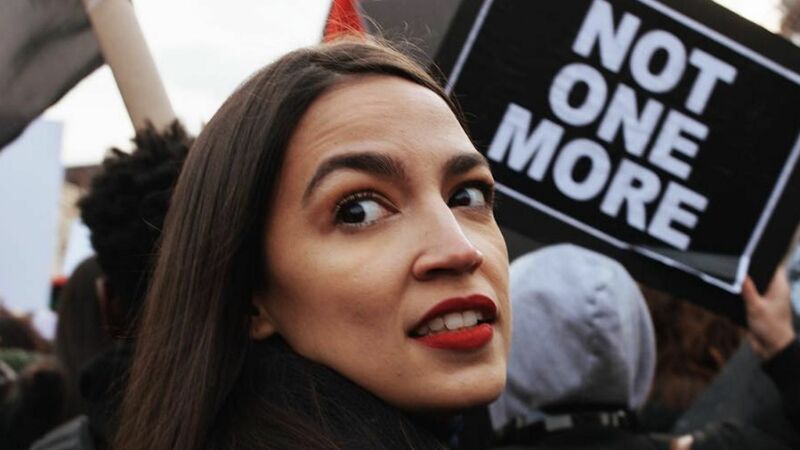 Ocasio-Cortez’s midterm victory over Republican Anthony Pappas (she won a whopping 78 percent of the vote) made her the youngest woman ever elected to Congress, but that doesn’t mean Sussan can rest. We spoke to him just a few days before Election Day to get a better sense of how he’s continuing to build technology that will help find potential voters and what the future holds for progressives in the technology industry. We built Reach as a tool for ourselves. We wanted something that let us go where people are and have electorally relevant interactions. Reach let us canvas and record responses at community events, on the streets, on subways, in taxis, and even online. Volunteers set up tables on the street and would talk to folks on their way to work, in Ubers and on the subway. All of these interactions that are usually untracked by a campaign were now being fed into our get-out-the-vote system and our outreach efforts. Traditional door-to-door canvassing methods limit who you talk to and where you’re able to effectively collect data. One of the main ways that canvassing is broken is that it’s list-driven. Those lists are generated based on what a campaign has guessed would predetermine support for their candidate. A major variable is whether or not they voted in the last election. What ends up happening is a lot of voters who are already supporters get knocks on their door. You end up selling to the [people who’ve already been] sold [to]. After we won, we looked back, and Reach accounted for about 10 percent of our total positive IDs, or in other words, pledged voters. Reach was only deployed in the last three weeks before the primary. And the difference in the number of votes between Crowley and Ocasio was about 15 percent. So, I’d like to think that there was an impact, but you can’t see who votes for who. I think it played a big role, especially in bringing out folks that had not voted before. A lot of Ocasio’s volunteers went over to work on other campaigns and were like, ‘Why are we using this old piece of software? And why can’t we use Reach?’ The problem at the time was the solution wasn’t built to scale. It was built just to solve our own [campaign’s] problems. We had to rebuild it. About 20 campaigns ended up using it. We had a waiting list of something like 35 campaigns. The next step for us is to bring it to as many folks as humanly possible while maintaining control of the technology, making sure that only the right candidates get access to it. We’re only working with progressives and hard-left campaigns right now. Everyone who built Reach, and there’s about seven of us total plus a few others who contributed some code to it, votes on any campaign that comes to us asking to use it. If 60 percent or more of us say yes, then we’ll deploy it for them. We’ve turned down a couple campaigns. Because each voter file in each state is different, we have to essentially build new data loaders for each state. Because it’s based on the voter file, if you were to search a person who isn’t registered to vote yet, they would not show up. But I’ve been recently experimenting with builds that allow you to register a voter on the spot and that is one thing that we’re heavily considering as a kind of a major release to all campaigns that end up using us moving forward. We’re working on using social media as a way of generating IDs. We’re taking some of the folks that consistently interact with us on social media platforms like Twitter and finding them in the voter file and marking them. By doing that we’re able to follow up with them outside of the sphere of social media to get them out to vote. As global monolithic entities, these companies have a huge impact on what our politics look like. They need to do better. Companies as distinct entities have one job and one job only, and that’s to look after their shareholders and to extract the maximum amount of value. But companies are made up of parts, the people that are working at these companies. Those individual parts are getting experience and access to valuable resources that they wouldn’t have before. As a result of that and this kind of globalized awakening of people to the political process, the net result is going to be a lot of politically involved techies trying to use their skills to create new and better solutions for progressive campaigns. As an example, almost all the folks who work on Reach with me had not worked in politics prior to this campaign. What I can say with certainty is that my future has been written for me. I want to be involved in creating the solutions that elevate us from where we are to where we need to be. So whatever I end up doing, it’s going to be for the greater good in the political world.